Do you enjoy lattes, cappuccinos, hot chocolate or other milk based drinks? Would you like to be able to make these great beverages in the comfort of your home? Then you might be in the market for an electric milk frother. An electric milk frother is a device that heats and whips milk into steamed milk, which is used for lattes, or frothy milk, which is used for cappuccinos. You can also froth up cold milk for use in a variety of other beverages. If an electric milk frother sounds like a product that you could use in your kitchen, you’re in the right place. In this article, I’ll go over five of the best ways to froth your milk available today, and at the end I’ll name an overall winner. If you want to whip your milk into a froth, the powerful 600 watt Nutribullet can get it done in a hurry. The heart of the Nutribullet is its powerful 600 watt high torque motor that’s tucked inside the power base. No matter what you put in this machine, it will pummel it into a smooth liquid. 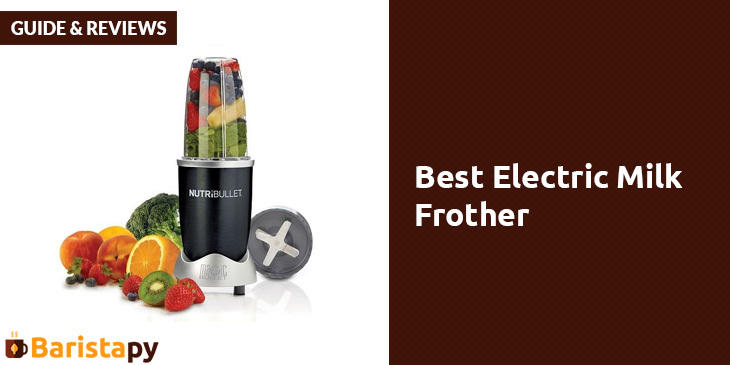 Apples, carrots, and ice aren’t even a match for this compact powerhouse. The Nutribullet is capable of liquefying virtually anything. The great part about this Nutribullet package is that it includes an electronic milk frother so you can whip up your own lattes and cappuccinos. The regular blender base would probably do it as well, but you can control your consistency much better with this accessory. In addition to making the perfect smoothies or juice, you can also whip your milk up just the way you want it. So what do you get with this Nutribullet blender set? The power base, a 32 ounce cup, a flip-top lid, a 24 ounce cup, an extractor blade, a user’s manual complete with recipes, a pocket nutritionist, and a healing foods book. Bonus pieces are the milk frother and a recipe magnet. 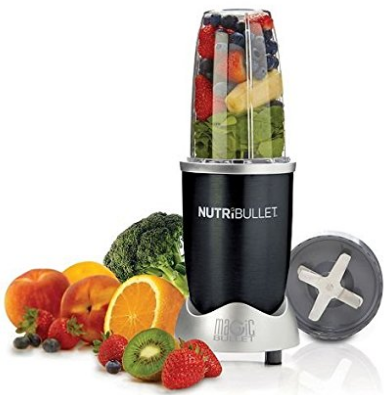 This is a great blender set for anyone looking to start juicing, plus you can froth your own milk! 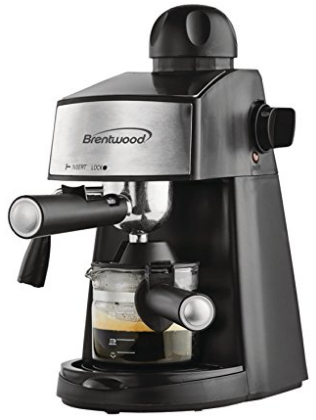 If you’re serious about your coffee in the morning, you should graduate up to this quality espresso maker from Brentwood Appliances. The GA-125 is an 800 watt machine that can produce some of the best espresso you’ll ever taste! Each batch will brew up to 20 ounces of espresso coffee that has a powerful kick. It simply comes out into the glass decanter similar to a traditional coffee maker, but this coffee is much more intense. If you love to make cappuccinos and lattes, this machine can get it done. Simply add milk and the steamer will take care of the rest. You’ll get hot, frothy milk to top your beverages with the touch of a button. If you’ve ever wondered what it’s like to be a barista, now you can become your own! Some espresso machines can be difficult to clean up, but that’s not the case with the GA-125. It features a removable nozzle and drip tray so you can easily hand wash them or throw them in your dishwasher to make things even easier. The decanter is dishwasher safe as well, and all of the exterior surfaces will wipe clean easily with a cloth and warm water. This machine is easy to clean. This bundled package gives you everything you need to make your own high octane coffee creations. This package includes Nespresso’s proven Aeroccino Plus electric milk frother. This frother provides you with either hot or cold milk froth with the touch of a button, and is a stand-alone unit that can be placed beside your espresso machine so your milk froth is always available as a topper to your espresso. Once the machine has run, you simply use it as you would a pitcher to pour out your fresh milk froth. The Nespresso Pixie is a compact espresso machine, but it produces some seriously great tasting coffee, lungo, or espresso. It’s a small and lightweight machine so it won’t take up much of your counter space, and it’s the fastest machine that Nespresso makes. To brew, you simply make sure the reservoir is full of water, add a capsule, and press a button. Your great tasting coffee beverage will emerge after a 25 second preheat time. With all coffee machines that use capsules, it’s sometimes difficult to decide where to store all of your different flavors. That’s not the case with this package, because you get a handy storage drawer to hold your coffee capsules. The black pull-out drawer will hold up to 40 of your favorite capsules, and placed underneath your Pixie, will save you any cupboard or counter clutter. This coffee system from Zojirushi has everything required for coffee and tea connoisseurs. It’s even got a wire mesh tea ball infuser! The Zojirushi system includes a compact handheld milk frother. This is a convenient way to froth your milk, and it does a good job, but you are still left with the dilemma of heating it. 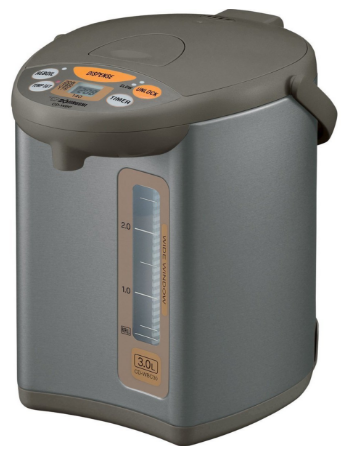 The CD-WBC30-TS can make all of your favorite hot beverages. It has a large 3 liter capacity so you don’t have to fill up the reservoir for every cup you make. You can select what temperature you’d like your water to be with four choices, which are 208, 195, 175, and 140 degrees. It will also boil your water first, then switch to the keep warm setting. This large capacity coffee machine will make over 12 standard cups of coffee or tea without the need to refill the reservoir. In addition to the beverage maker and the milk frother, this package includes a pair of quality 16 ounce hot beverage cups, two spoons, and a stainless steel mesh tea ball infuser. This is a good overall hot beverage system, but it’s lacking in the milk frothing department. 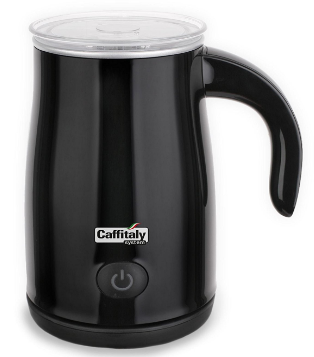 Frothing your milk is what this quality appliance from Caffitaly is all about. 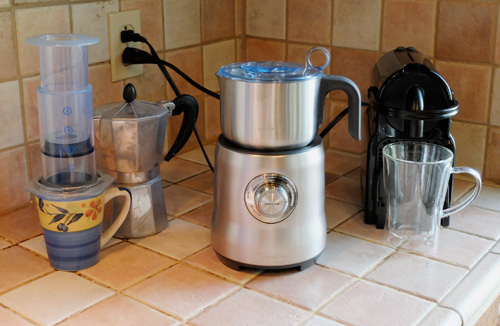 The Caffitaly milk frother features three different modes of operation. They are hot milk, hot froth, and cold froth. That should cover your needs for lattes, cappuccinos, and any cold coffee concoctions you like to whip up. 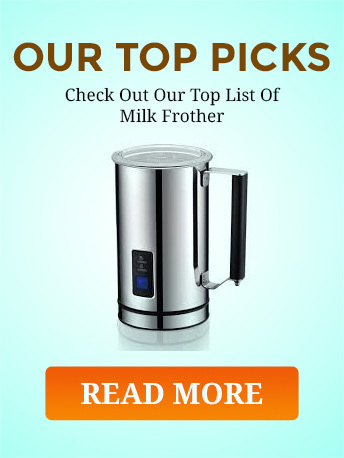 This is a complete milk frothing appliance that will meet all of your expectations. When you choose to buy the Caffitaly milk frother, you don’t have to wait very long for your frothy milk. It can whip your milk into a perfect bubbly consistency in only 120 seconds, so you don’t have to wait very long to top your cappuccino. In the morning, minutes waiting for your coffee can seem like hours, so quickness is a definite plus. This milk frother is built to last. It’s got a tough black or white ABS plastic shell that’s impact resistant, and the inner liner is made completely from stainless steel. If you throw your new milk frother against the wall and leave water in it for a week, your spouse probably won’t even notice. If you need a milk frother that’s a stand alone appliance, this is the best one available. You probably noticed that several of these milk frothers come as part of a coffee making package. That’s because when they’re part of a bundle, you get a much better value. As such, the winner for the Best Electric Milk Frother is the Nespresso Pixie C60 Electric Titan Espresso Machine. This package is a full on coffee making system that also features Nespresso’s Aeroccino Plus milk frother, which is the top standalone unit. 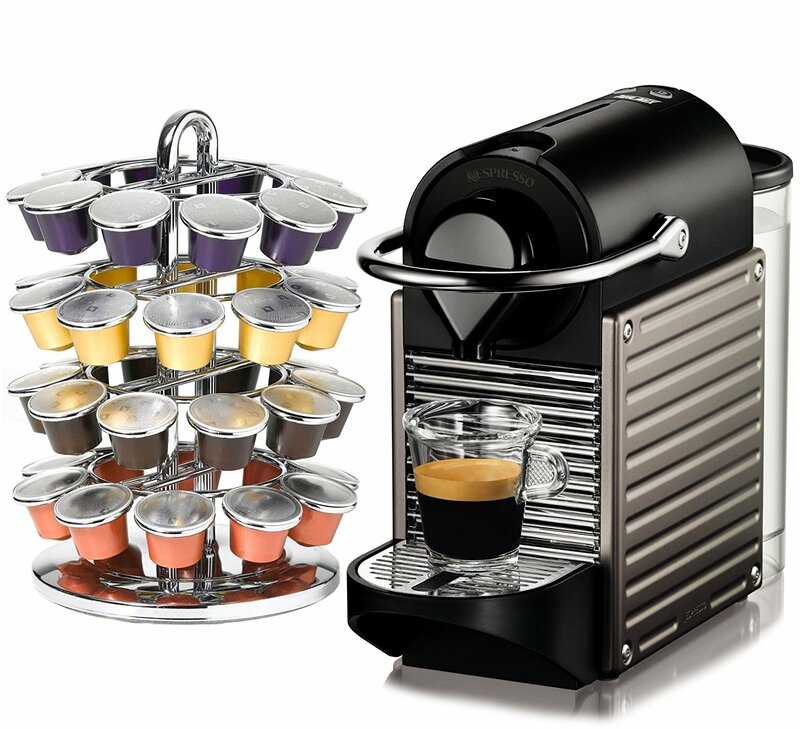 In addition you get Nespresso’s fastest espresso machine and an awesome storage drawer that holds 40 coffee capsules. Honestly, why buy a milk frother when you can get a complete coffee system for just a little more money and be set for years to come. You won’t regret it.